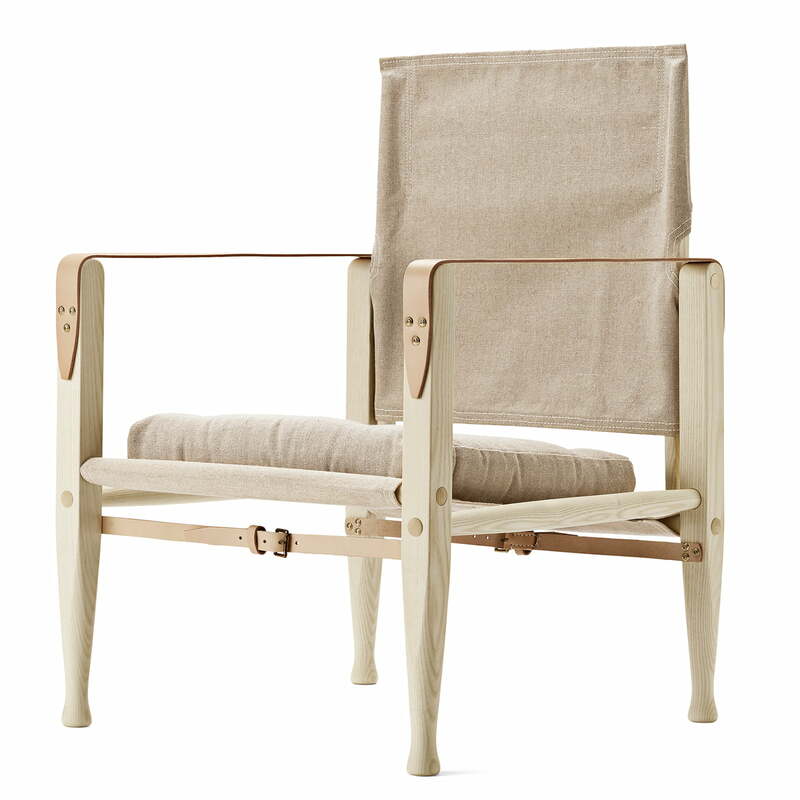 The Carl Hansen KK47000 Safari Chair was designed by Carl Hansen in 1933. 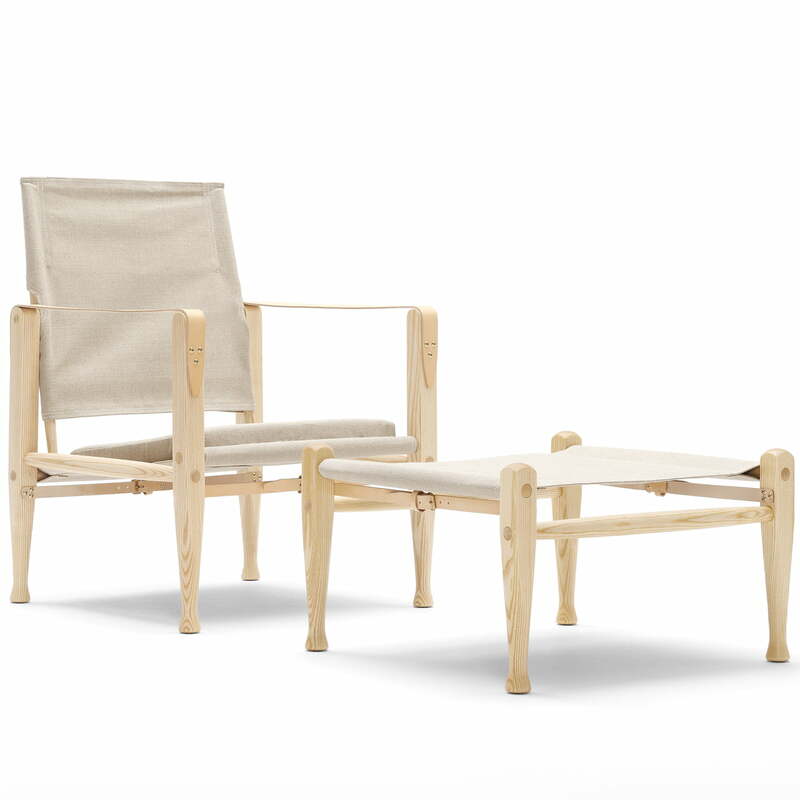 The designer was captivated by a photo of the classic Indian Roorkhee Chairs that a couple had used while on a safari. 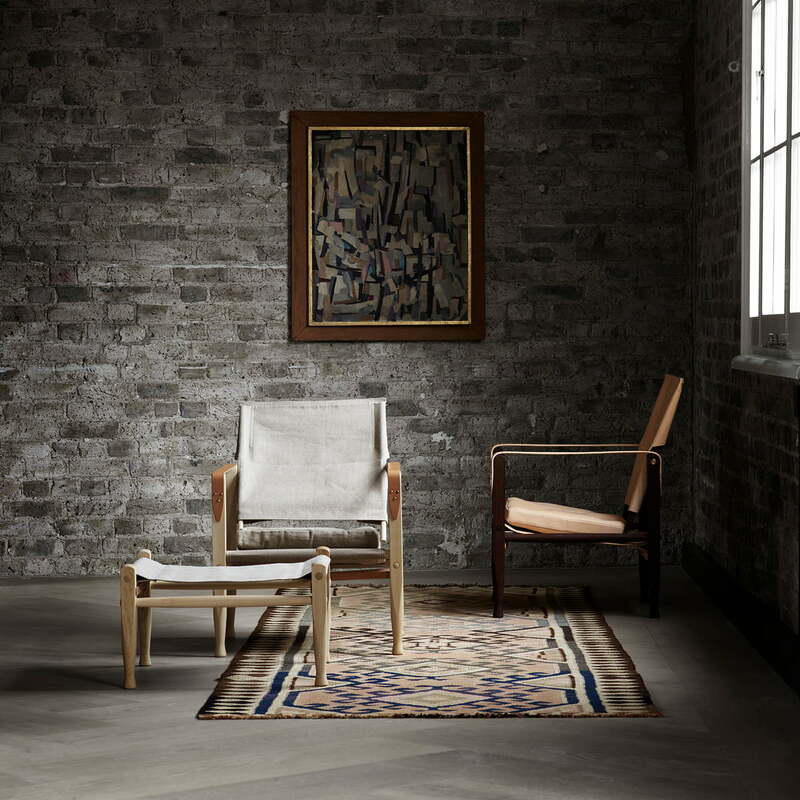 The fact that the chair could be assembled without any tools inspired the designer to create a chair according to the same principle for Carl Hansen. The prototype featured glue-less joints and a smart design that provided strength and stability to the chair. The final model was presented in 1933 at the Copenhagen Cabinetmaker Guild Exhibition and was immediately met with enthusiasm. In addition to its practical advantages, the natural materials used to make the Safari chair also have a remarkable effect. 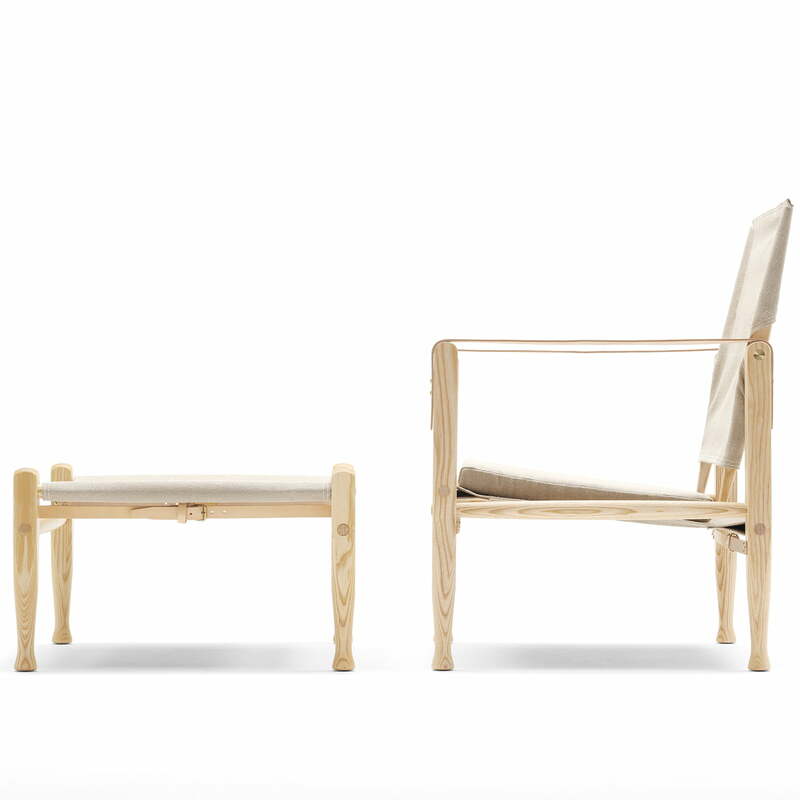 While the basic structure is made of ash wood, the upholstery consists of canvas fabric. 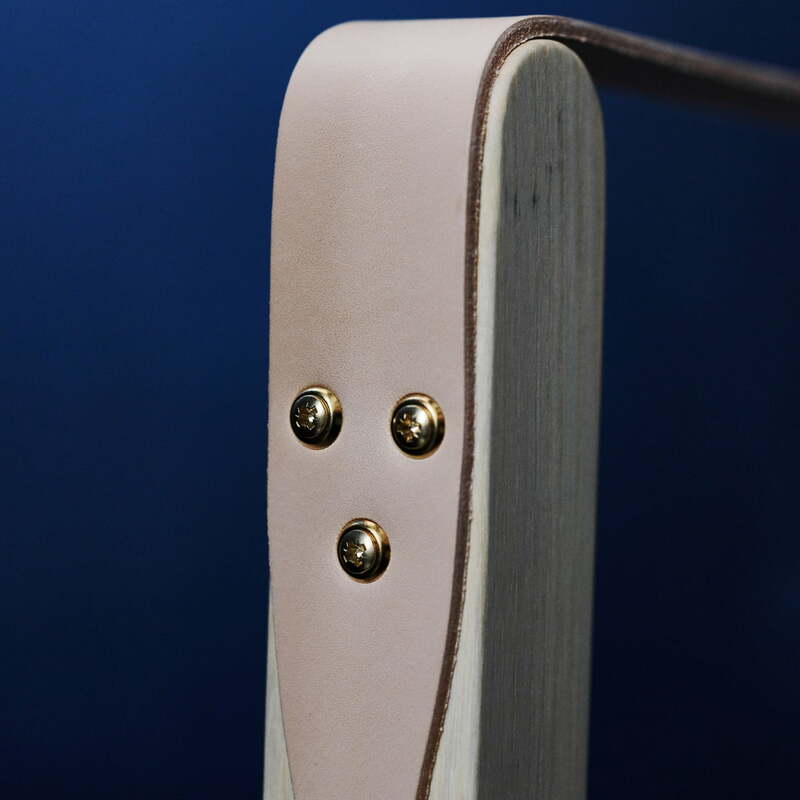 The leather stretchers and armrests are stunning details. The result is an eye-catching piece of furniture that can be introduced into any environment, and, as the name implies, evokes adventurous safaris. 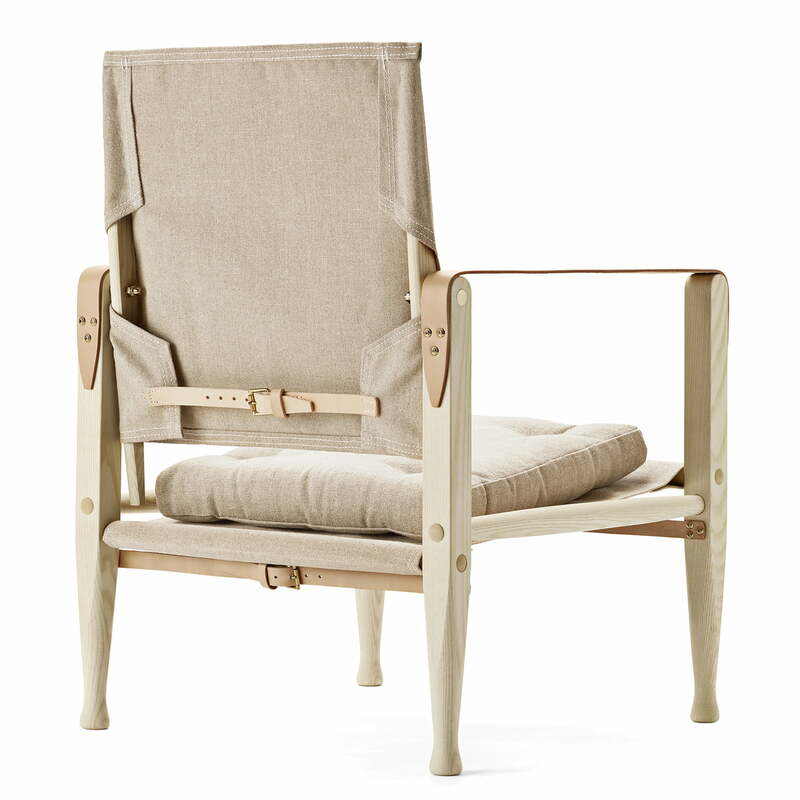 The KK47000 Safari Chair from Carl Hansen in the Limited Edition. 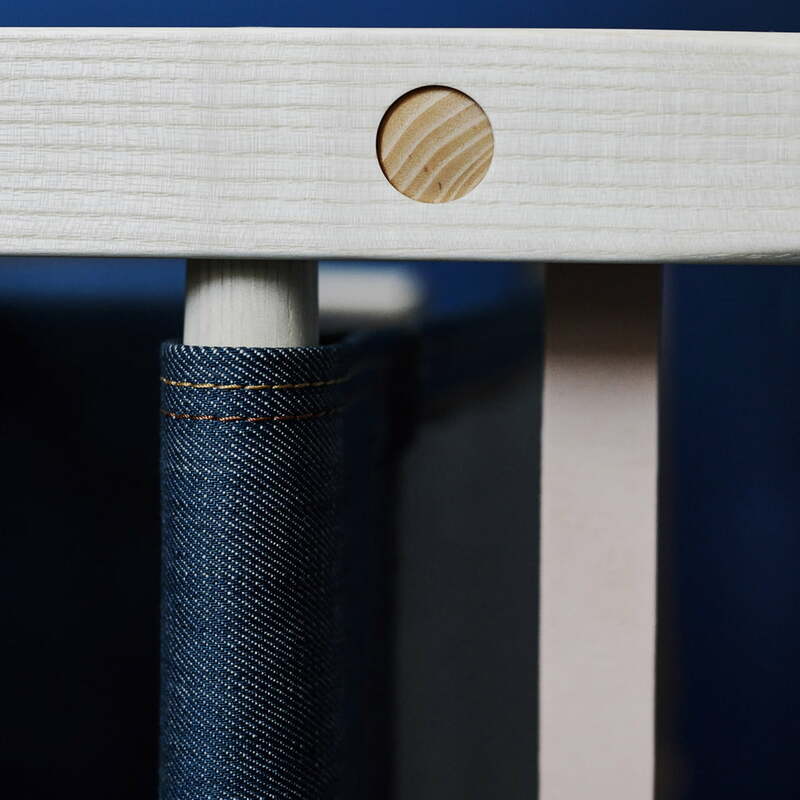 The dark blue of the denim fabric harmonises in a particularly beautiful way with the natural leather and the light ash wood of the frame. 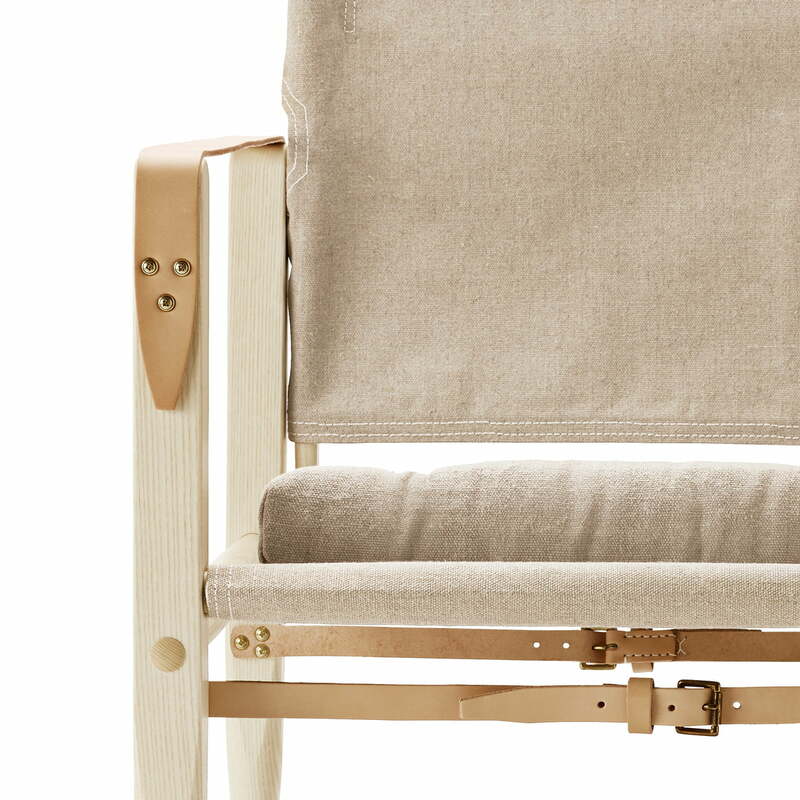 The KK47000 Safari Chair from Carl Hansen in detail. 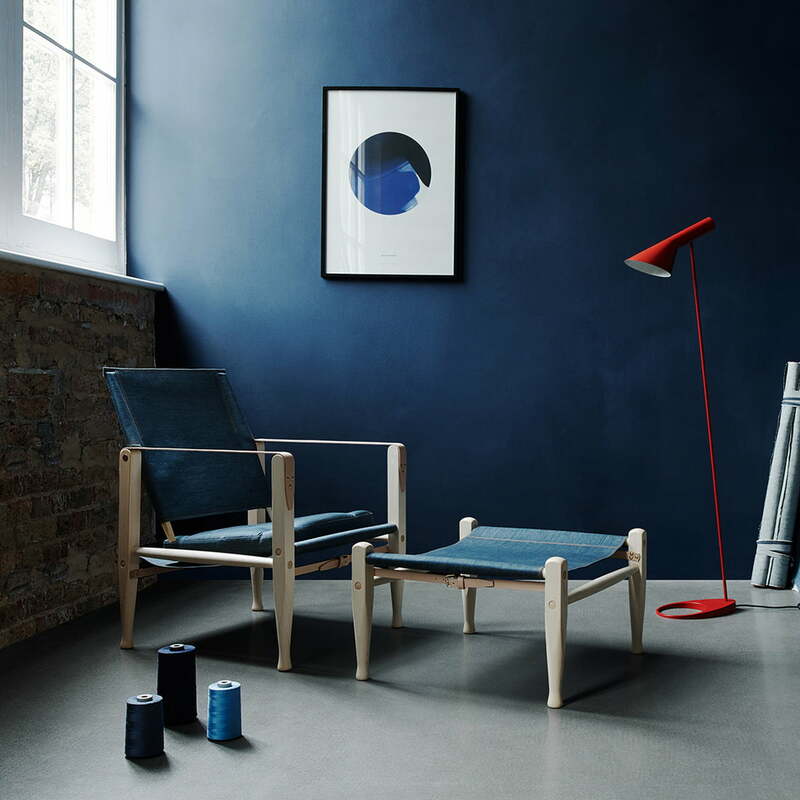 The Limited Edition by Carl Hansen and Huit Denim is also manufactured by hand and convinces with its extreme precision. 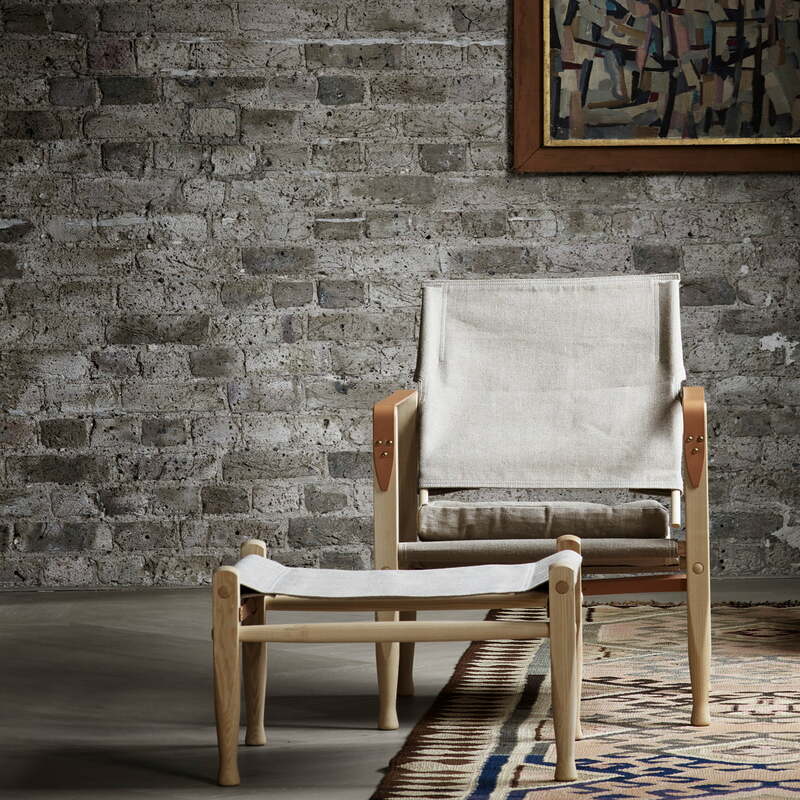 The KK47000 Safari Chair by Kaare Klint and the KK97170 Stool by Esben Klint for Carl Hansen in the Limited Edition harmonize wonderfully with their denim covers.